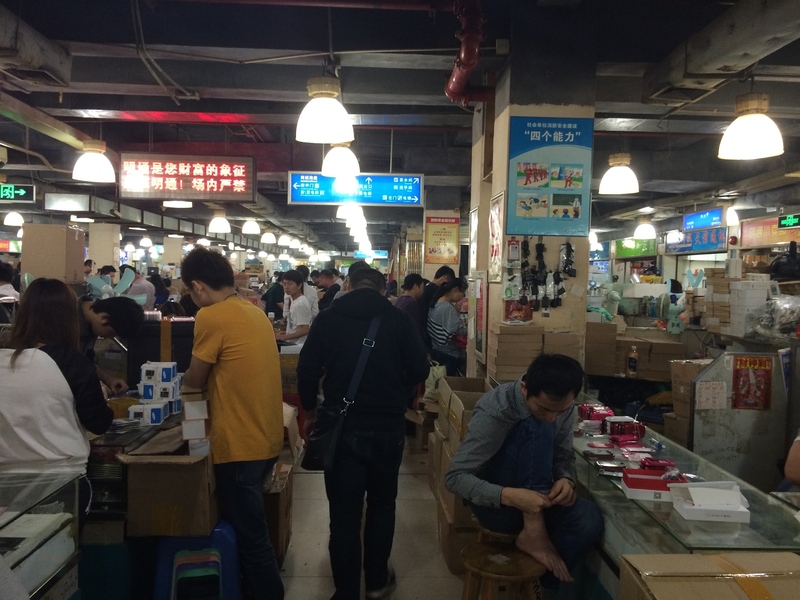 In April 2014, on the way home from a business trip to Southeast Asia, I spent a few days in Shenzhen, China, to visit the famous electronics markets of Huaqiang Bei, catch Shenzhen Maker Faire, and spend a little time with the attendees of Hacker Camp Shenzhen. 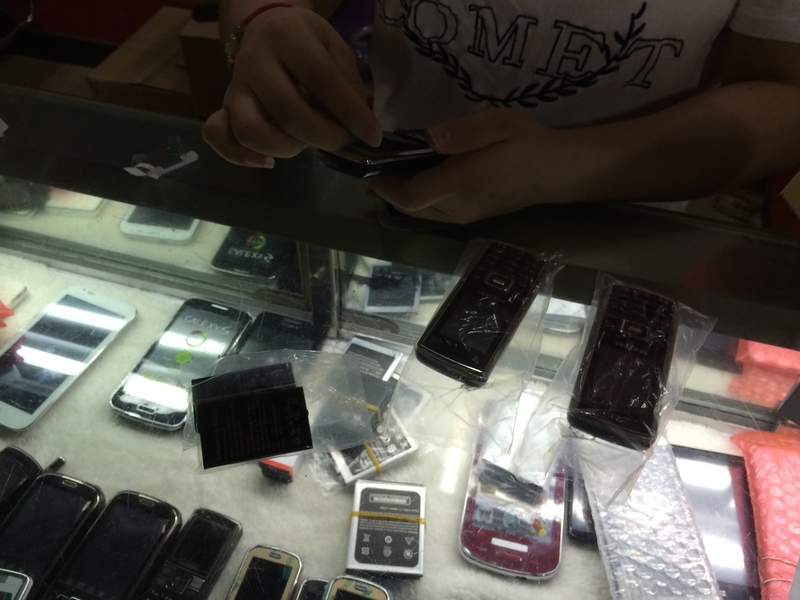 Having read Bunnie Huang's blog post about a $12 locally-manufactured phone he bought at Shenzhen's Mingtong Digital Communications Market (also known as the "Dodgy Cell Phone Market"), I was interested to check out that market and maybe get one myself. As it turns out, the invisible hand has pushed Bunnie's phone aside and replaced it with an even cheaper model. The vendor on the right is assembling "Nokias". Mingtong is crazy. Many floors of kiosks selling fake Samsung and Apple phones, phones shaped like cars or improbably blinged out. 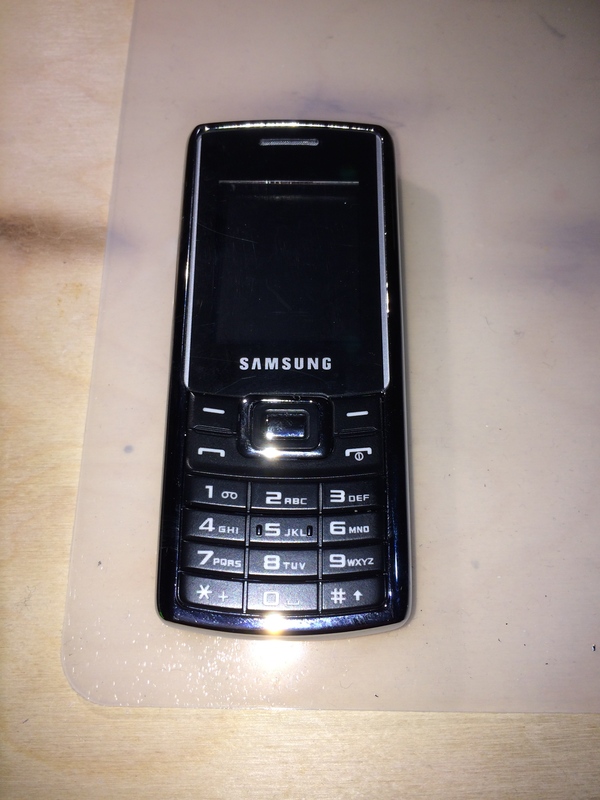 I asked a number of vendors for their cheapest phone, and they all showed me the same phone -- most all the other vendors carried it too -- a nondescript candybar phone that looked a bit like a classic Nokia, but with 3M adhesive backing around the screen (I have to wonder -- real 3M?). The asking price for these was about 45 RMB or a little more than US$7. I bought three. 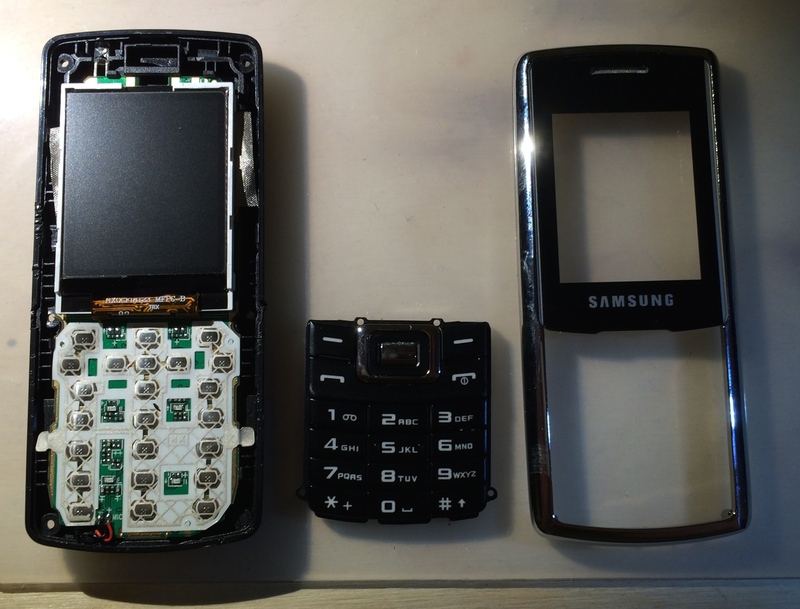 The vendor peeled off the adhesive backing on each and slapped on a Samsung faceplate, explaining that she was all out of Nokia faceplates and couldn't offer me a choice. I left one of the phones at the space for inspection by the curious and/or for hacking. If people find cool stuff to do with it, I can donate the other two. The phone looks a bit like a classic Nokia. 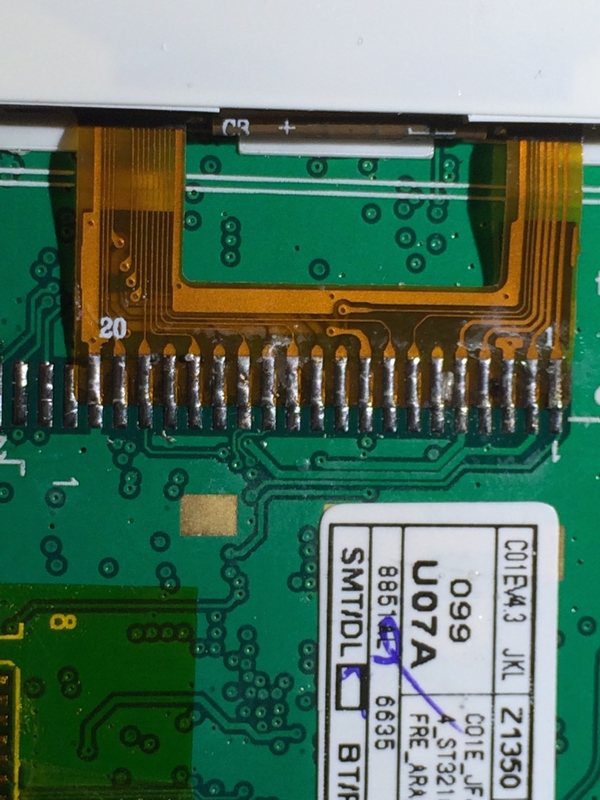 The display looks hand-soldered to me, though I have little experience with soldering work this fine. 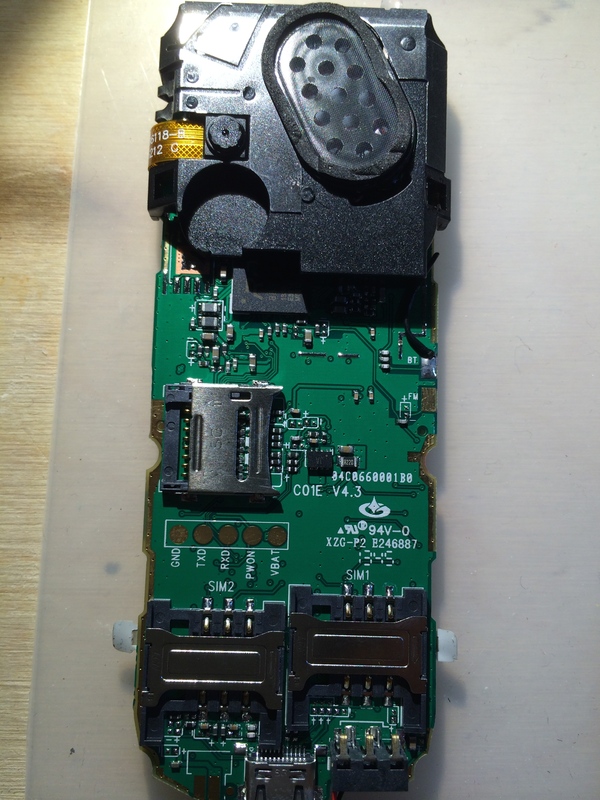 Rear of PCB with ringer and camera. 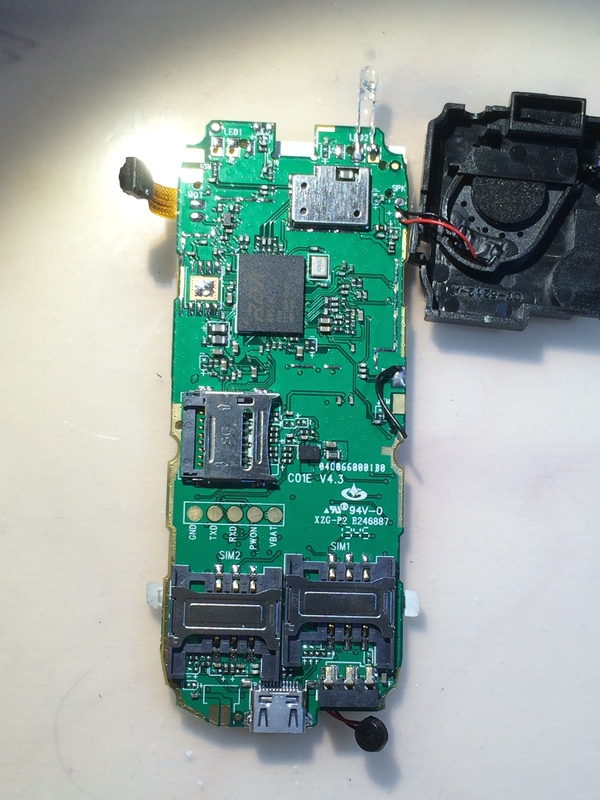 Rear of the PCB with ringer and camera pulled aside. 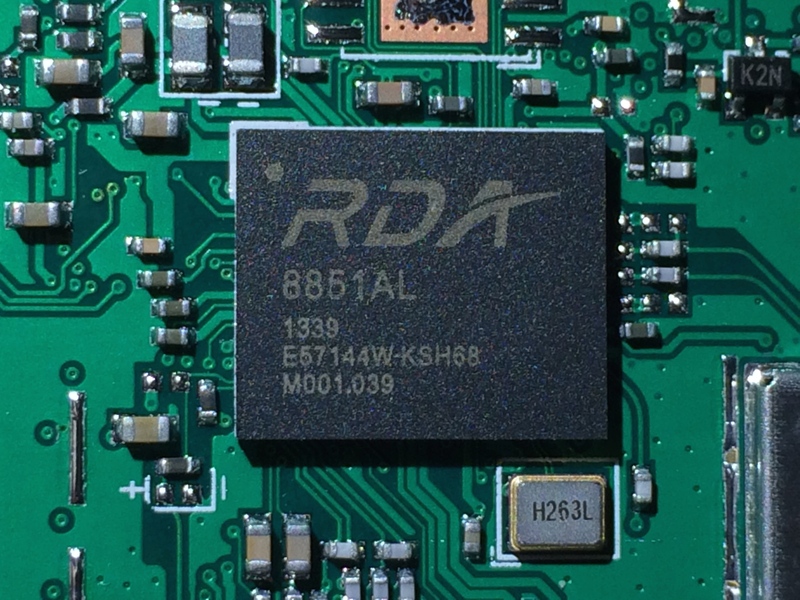 This little IC seems to run the whole kit and kaboodle. These pads, placed I presume to facilitate testing, are intriguing. This page was last modified on 30 September 2018, at 12:54.